Boy, have I got something awesome in store for you today! 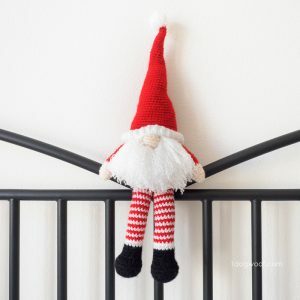 I know you may not even know what you’ll be for Halloween yet, but maybe you’re already looking ahead (and sweating ahead) for what could be the ultimate stressful time of the year – holiday gift giving. Well, you’re in for a treat then, my friends! 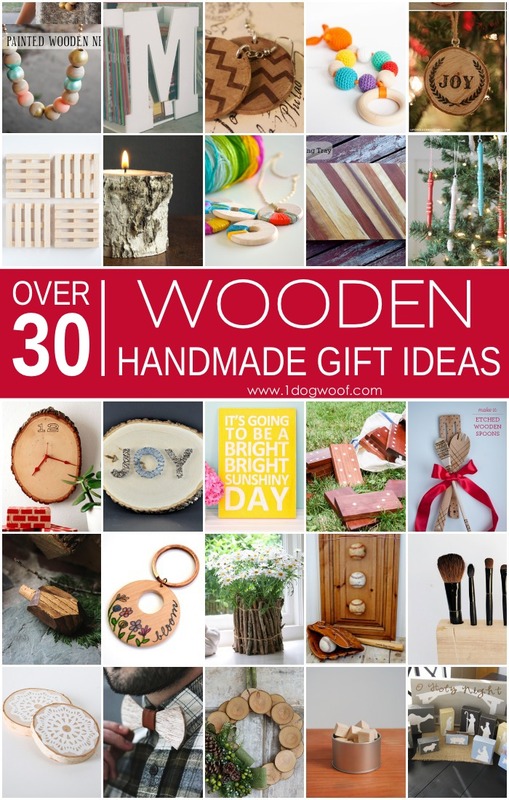 Here’s a roundup of over 30 Wooden Handmade Gift Ideas. a collection brought to you by my favorite bloggers just in time for the holidays. The answer to your wildest dreams, and/or nightmares. You know how everyone says they have “something for everyone on your list”? 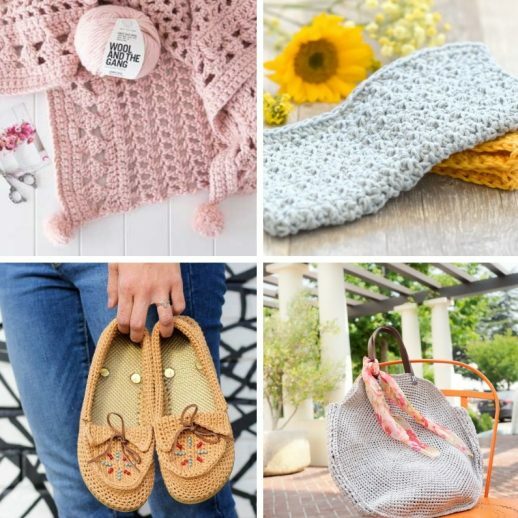 With over 200 handmade gift ideas, I hope that you really do find the perfect gift, or last inspiration, for everyone on your list. 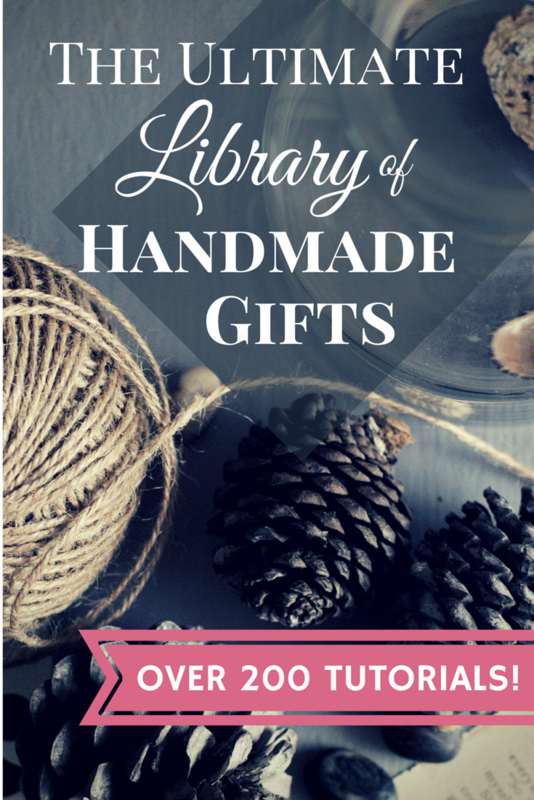 My contribution to this list of all lists are handmade gifts from wood. 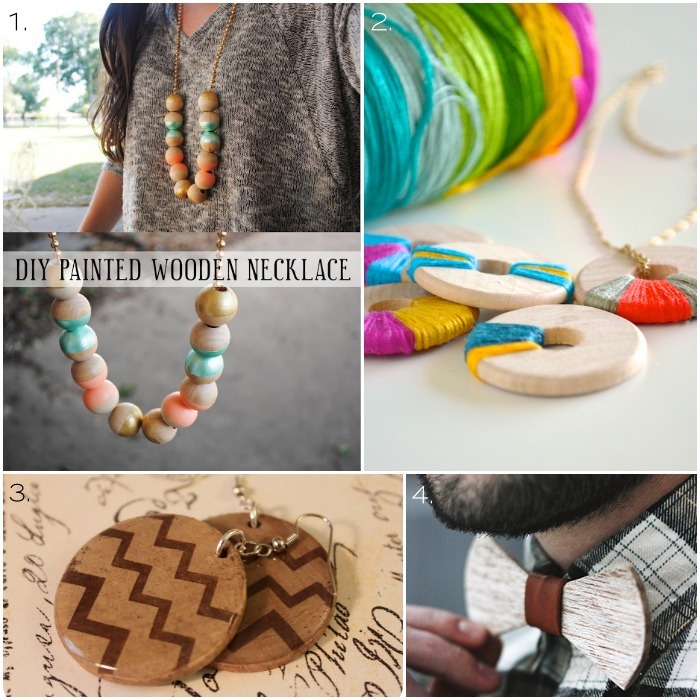 I love the versatility of wood, how it can look handmade or store-bought, even if it was all done by hand. It can be fun, modern, vintage, and customized for the pickiest recipient! Let’s dive right in! I mean jewelry, but there’s a surprise here in this collection…for the man in your life. How about a wood and leather bow tie? Oh, I love me some mixed media! Anyone can gift a glass vase. Will you be the one to gift a homemade wooden vase? It’s pretty amazing what you can do with a slice of wood. I mean, it’s like having a blank canvas to work with. I’d even make an analogy to a blank sheet of paper…if they weren’t pretty much already the same thing… Annnnyways, here are some grrreat ideas! 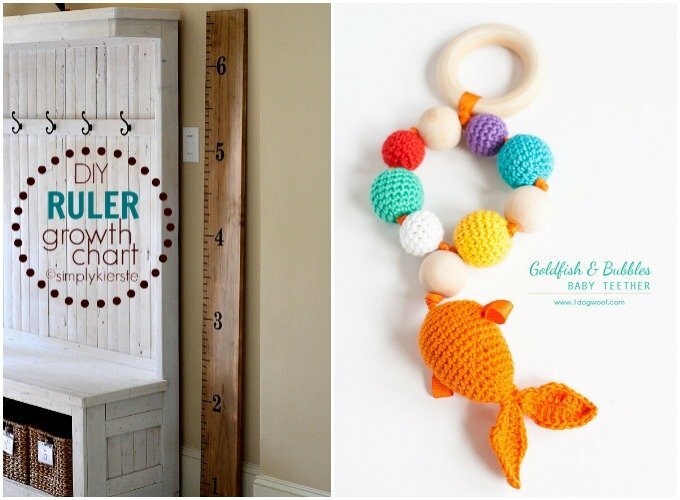 So, the teether has a specific age limit, but the ruler growth chart can be for anyone. Plus, I think it’d be fun to have a ginormous ruler hanging around the house! 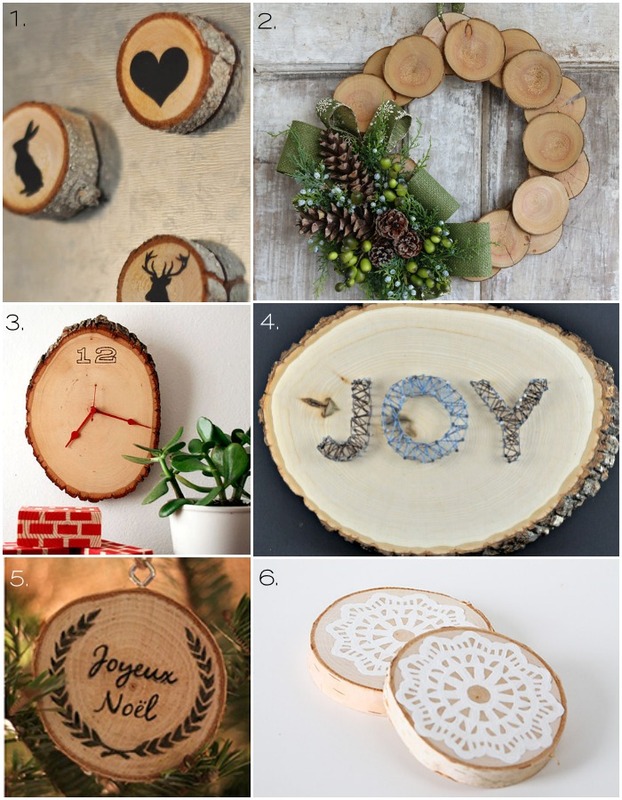 Here are a few creative ways to use wood for Christmas decorating, and all using supplies from around the house. Ok, I admit it, I did look around and see if I had an old chair I could bust up for ornaments. Ah, power tools, how I love you and am terrified of you all at the same time. Pop a drill onto your favorite power driver and see what you can come up with! When all else fails, a wood sign with a favorite quote or scripture or verse from a song always always works. I always tell myself I don’t NEED a wood sign around the house, but then, I’m ALWAYS tempted to buy the “Beach, this way ->” sign or some other “reminds me of vacation” sign at the county fair. Someday, I will make one, when I can decide what I want to put on it. Gifts for around the house. 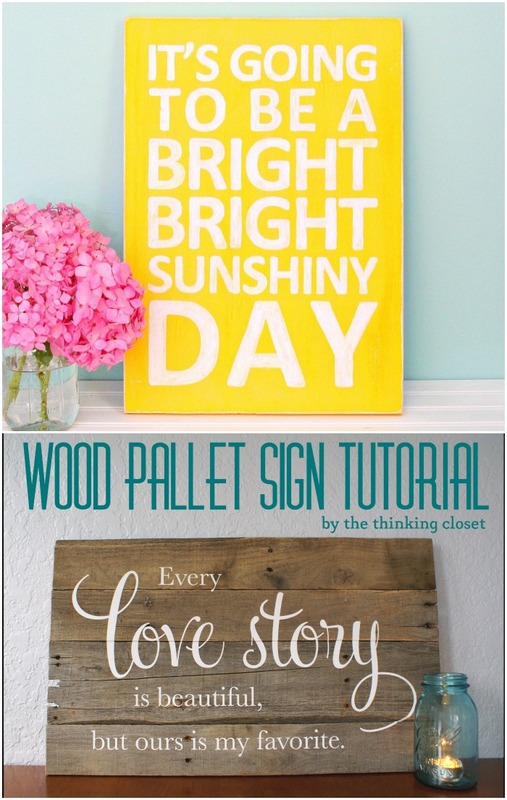 These ideas repurpose pre-made wood items into fun and unique gifts. I mean, who wouldn’t want a merry-go-round in their house?! Finally, a few more ideas just for fun. 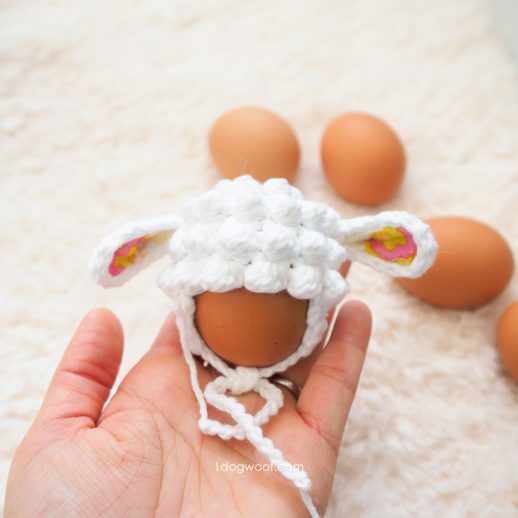 Easy to make and gift, fun to receive! There you have it! My contribution to The Ultimate Library of Handmade Gifts. 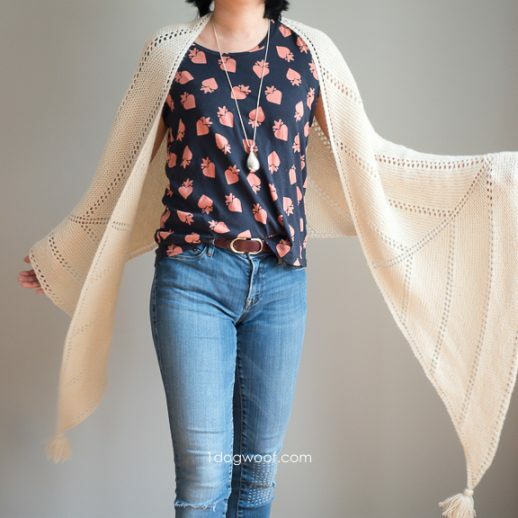 There’s soo much more to share from all of my favoritest bloggers. It’s a pretty impressive and invaluable resource, don’t you think? 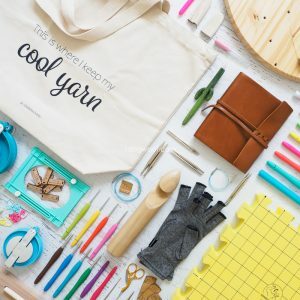 If you add up all the ideas from here and from the collections listed below, we have amassed over 200 great homemade gift ideas (200! HOLY GIFT GIVING, BATMAN!) for you to shock and awe this holiday season. Good thing we’re giving this to you early, right? 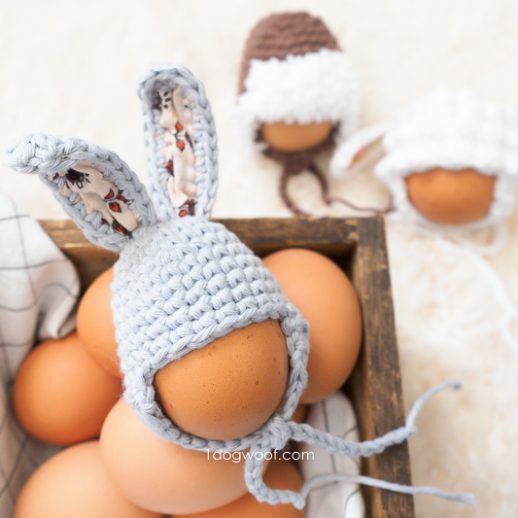 Gives you plenty of time to create, or procrastinate, or shop for supplies (always fun…)! This year, make your gifts personal: make them handmade. Get your ideas from the fabulous collections below! ChiWei, what a wonderful roundup of projects! I’m off to find some tree branches so I can make some wood disks for some of these amazing proejcts! Ya know, I did look around for tree branches while putting this roundup together. 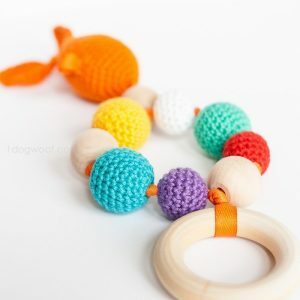 Aren’t the wood disks great? 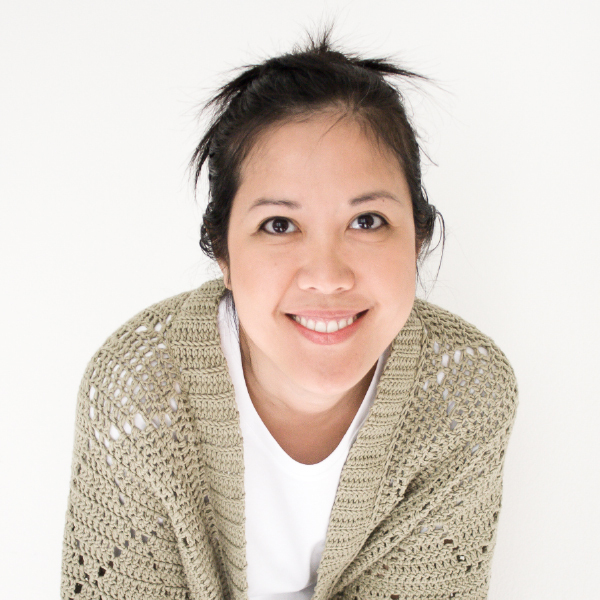 Thank you for including me in this fabulous round-up ChiWei! 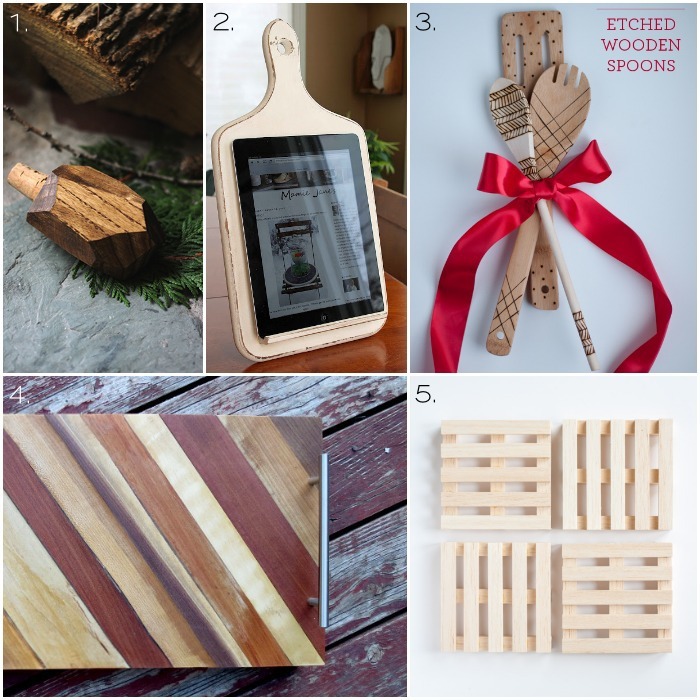 I love so many of these gifts – those burned wooden spoons are fabulous. I’m definitely doing that! Do you have a wood burner, or do you use a dremel? I actually have a wood burner . Oh my gosh I am seriously so inspired! I love working with wood but have a hard time figuring out exactly what to do with it. There are some amazing ideas here ChiWei! Thanks Kirsten! I love working with wood too, they can come out looking so professional, but I’m also always stumped and usually overwhelmed. I really love these ideas very much. Thanks for sharing these and I am pinning. Thanks for the pin Vanessa! Thanks for featuring my makeup brush holder, ChiWei! Nice Post. I love working with wood. I really love these ideas very much. Thanks for sharing these. Wooden artificial gifts are really beautiful and looking awesome. I like a very much wooden interior, wooden gifts, wooden cars etc. You share the handmade gifts are awesome. I like your blog. Great ideas you share on this blog. Thanks!